Ever since we made that Cherries & Cream Slab Pie this summer for the Go Bold with Butter blog, I've been a little obsessed with pie making. One of the things I've been obsessed about is the crust. I've never been good at crust... in fact, one failed attempt where the dough got so tough it was useless made me think I'd never tackle it again. But, then I heard Julia Child's words ringing in my ear. And I thought about the Julie/Julia Challenge we did back in 2009 where we learned to debone a duck. And I decided to try again. Boy am I glad I did. These days, when I can find the time, I'm a regular pie-making fiend. Which brings me to the next recipe. There’s a little restaurant here in Milwaukee called Honeypie Café that serves up some of the best pie in the city. I actually wrote an article about them a while back, tracing some of the adventures that co-owner Val Lucks has had while seeking out some of the best pies in the nation for inspiration. Thanks to all of Val's travels and research, Honeypie has at least 50 flavors of pie in their repertoire, with probably six to eight showing up daily on the menu. One of our favorites, among their offerings, is their namesake Honeypie which blows us away every time we eat it. 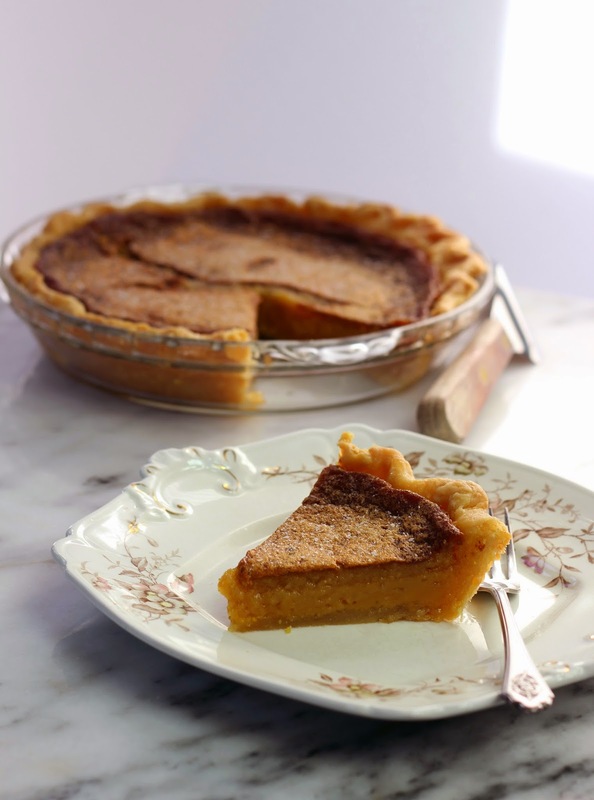 It’s sweet and salty and rich, with a smooth custard base and a delicious flaky crust. Of course, as good as it is, it doesn't show up on the Honeypie menu nearly often enough for my taste. So, I decided to take a whirl at making my own. 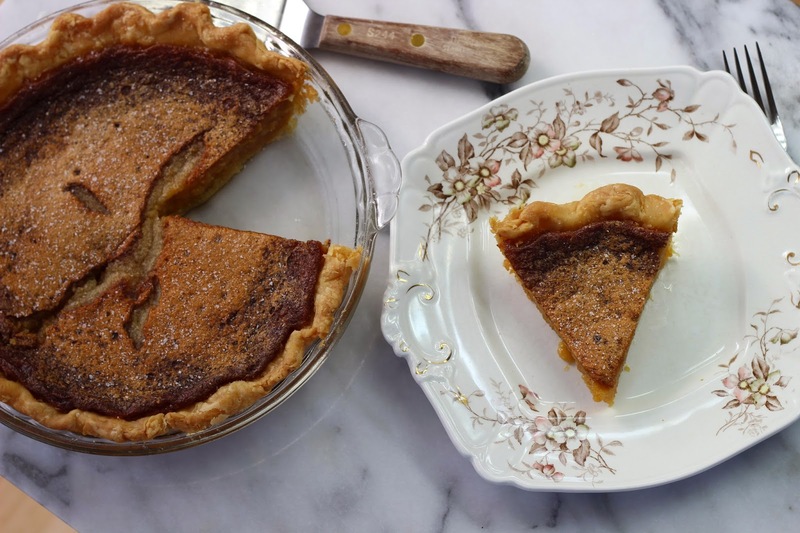 This version, an homage to their pie, is really a variation on chess pie, a southern style custard pie which makes use of cornmeal as a thickening and textural agent, as well as vinegar to round out the flavor and prevent the sweetness from becoming cloying. The flaky crust owes its flavor and texture to the magic of real butter (Val prefers shortening, but I'm not sure if I agree). And a bit of sea salt added to the finished pie offers up a pleasant crunch, as well as giving the pie an irresistible sweet-salty flavor. This is so intriguing! I can taste it just by looking at it!